Home / International Football / Asia / Borussia Mönchengladbach announce end-of-season tour to China! Borussia Mönchengladbach have announced a week long end-of-season tour to China for their first team. The Bundesliga side will travel to China for the very first time from May 19 to 26, 2019. The China tour is part of Borussia’s international strategies for the Chinese market which includes a long term project in the partner town of Suqian and the club’s first international office in Shanghai which opened eight months ago. The first team will first travel to Guangzhou for a friendly match against Chinese Super League side Guangzhou R&F. Borussia will take part in a public training session on May 21, while the match would take place the day after. 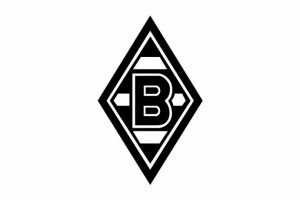 Borussia will then travel to Shanghai on May 23 to visit the club offices over the next two days and to take part in various marketing activities. Borussia Mönchengladbach is supported by the DFL Deutsche Fußball Liga, while DFL’s broadcasting partner PPTV has helped to secure broadcasting rights for the friendly in primetime for the entire of China to enjoy. Previous MLS celebrates Earth Day with fourth annual Greener Goals Week of Service! Next FC Goa & Chennaiyin FC face off in Super Cup final with redemption & silverware on the line!